Sr Josephine is a professed Franciscan sister and serves in Huddersfield at the oratory of Our Lady of the Rosary alongside her husband Richard. 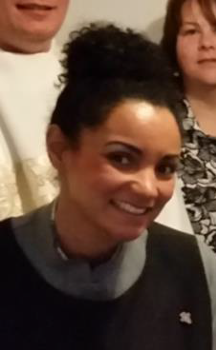 Cherill joined us in 2016 by incardination. Her secular work is in the theraputic professions in the NHS. She works alongside Fr Rob Shepherd in bringing the care and love of Christ to those in her charge. Oratory of Our Lady of the Rosary.